As Halloween passes and the evenings draw in, on the 5th November people all over the UK will be lighting bonfires and enjoying fireworks. And whilst it might seem like a fun past time with family and friends, there is a historical reasoning behind this evening. So, what exactly is bonfire night? The 5th November remembers the anniversary of an attempt to blow up the Houses of Parliament in 1605 – otherwise known as the Gunpowder Plot. 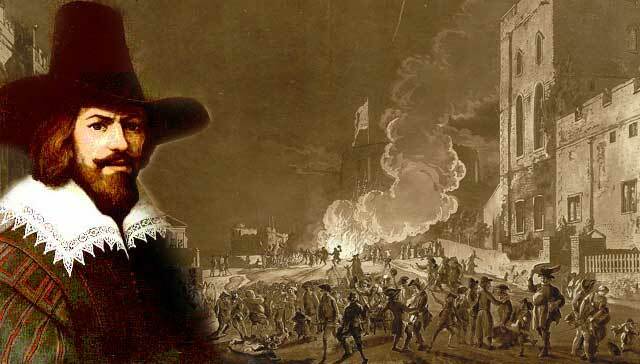 Guy Fawkes wanted to blow up King James I and his government due to religious conflicts. At the time, England was a Protestant country and the plotters (Guy Fawkes and his men) were Catholic. They believed that if they killed James I and his Ministers, England would become a Catholic country again. 36 barrels of gunpowder were placed in cellars underneath the Houses of Parliament, ready to explode. However – their plan was foiled. One member of Guy Fawkes men, sent a letter to his friend who worked for Parliament warning them to stay away on November 5th. The King’s supporters got hold of the letter and their plan was exposed. Guy Fawkes and his men were arrested and executed. to remind us of the day that Bonfire Night falls on. 1. During World War I and World War II, fireworks and bonfires were illegal. This was an act of Parliament in 1914 called the Defence of the Realm Act, which aimed to protect people by not exposing our location to the enemy. 2. Sparklers can reach a temperature of 1000-1600 degrees Celsius – which is around 15 times hotter than boiling water. (So be extra careful when holding sparklers this year) – Ouch! 3. You can see a firework explode before you hear the bang because light travels much faster than sound. Sound travels at a speed of 761mph, but light travels at a humongous 671,000,000mph – Yes that’s fast!